Gymnopilus luteus is growing in this case from dead wood of a oak in tight clusters. 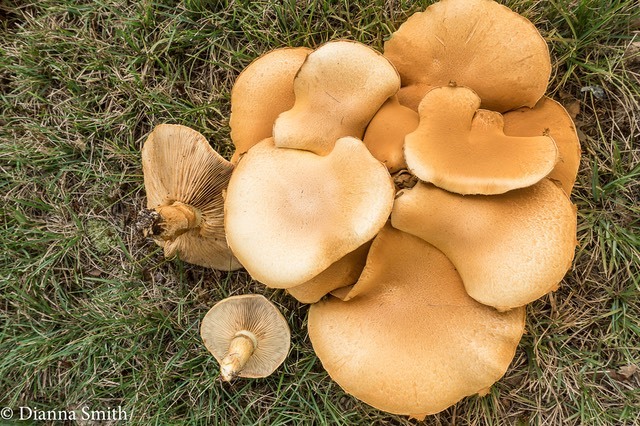 It has a medium to large yellow-orange cap with pale brownish fibrils from the disc outwards, remnants of the partial veil on the margin, yellow gills that become somewhat rusty as the spores are released, and a fibrous yellowish stem with a ring that turns rust-brown. 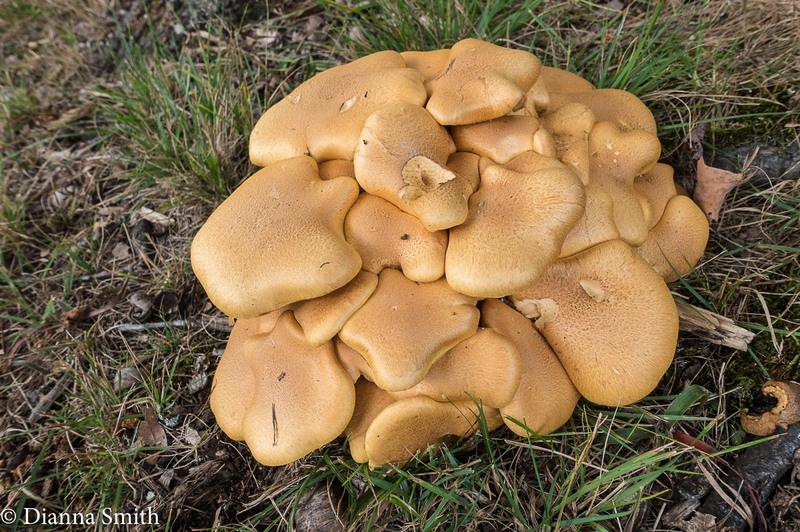 This species is often confused with Gymnopilus junonius. 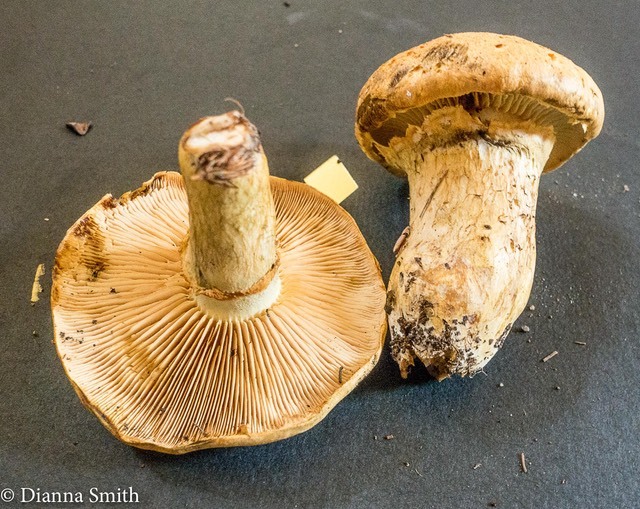 Like it, Gymnopilus luteus is also extremely bitter to taste and is hallucinagenic.